Allowing access to key information for the customer – supporting a major shift to collective transport (rail and public transport) – and allowing a significant growth in demand. 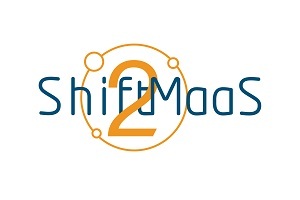 The overall goal of Shift2MaaS is to enable and facilitate flagship demonstrations in real contexts of the added value of the global services and data transport market place created by the new IP4 ecosystem. Shift2MaaS aims at supporting the introduction of Shift2Rail IP4 technology within the Mobility as a Service context, by analysing the needs in terms of technology enablers of the different stakeholders involved and demonstrating the benefits of IP4 through pilot demonstrators of shared mobility services and seamless passenger experience. To this end, Shift2MaaS will co-design and validate advanced use-cases for the deployment and implementation of COHESIVE solutions. The Shift2MaaS impact will be tested at three sites, all strongly engaged in the intermodality and MaaS domain and setting specific actions on existing or new MaaS schemes. The sites have been selected according to their complementarity, where success and failure factors for any specific measure and context will be investigated and evaluated. The resulting knowledge and lessons learned will be made available and shared with Shift2Rail IP4.